One of my favorite summer meals is pasta salad. 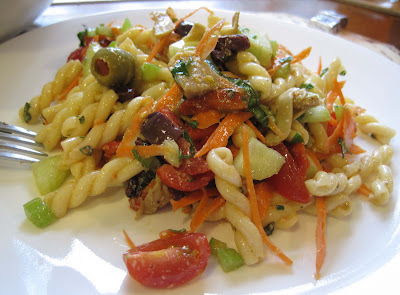 It's true that I love pasta and could eat it way more often than we actually do, but pasta salad is also a dish that can have a lot of veggie in it, and that's something that SP enjoys. 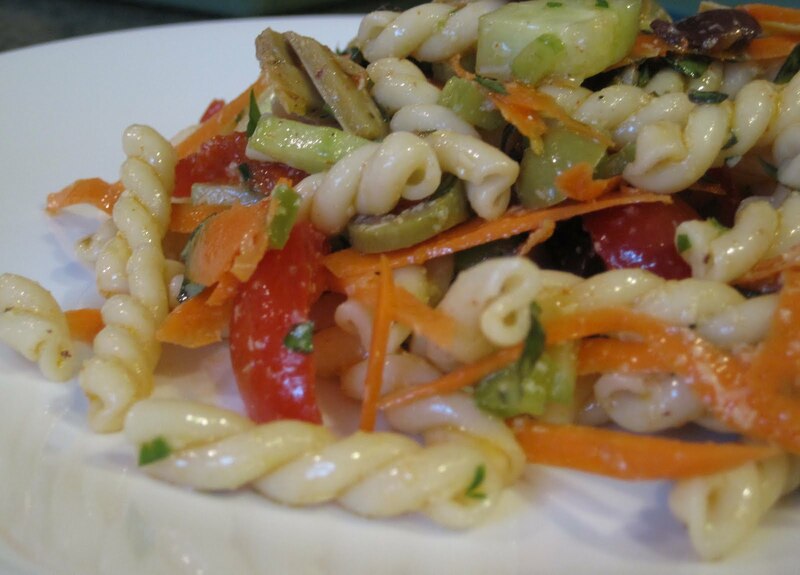 This time we used gemelli pasta. 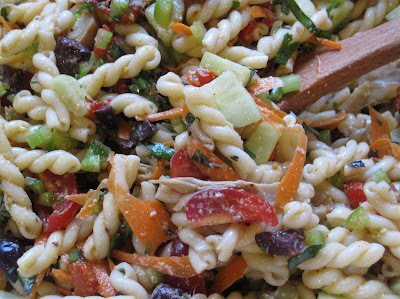 Usually we use bow ties or corkscrews, but we had a box of gemelli that I bought for a bacon & goat cheese pasta dish we have yet to make. So we used the gemelli for pasta salad. pepper I whisked the dressing, poured it over the pasta and veggies, and then tossed and tossed until everything was well mixed and coated in dressing. 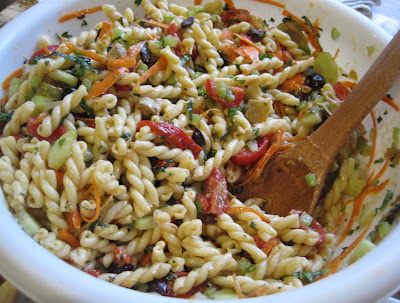 This was a yummy pasta salad. I can't imagine making a bad tasting pasta salad, but I suppose it's possible if the dressing isn't a tasty dressing (I really don't enjoy store bought Italian dressings) or if the salad is not seasoned enough. 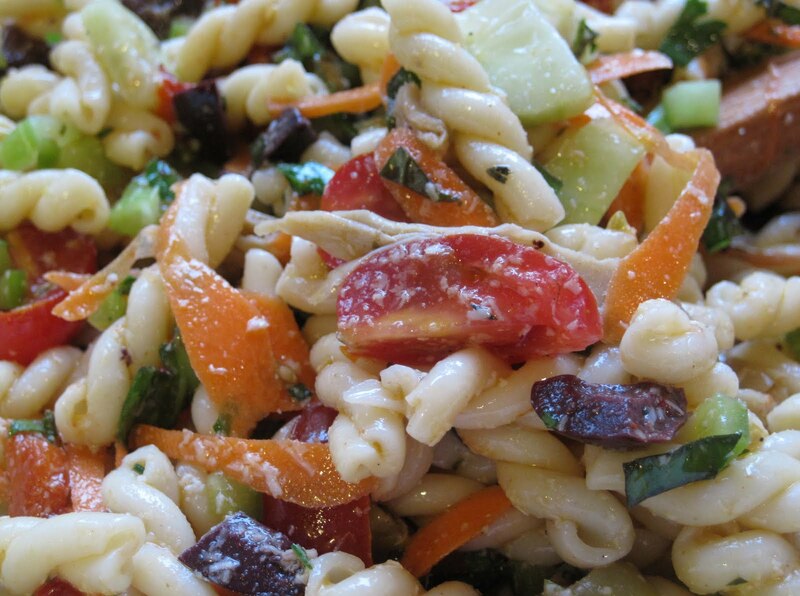 Even SP really enjoyed this pasta salad, though of course he would prefer whole wheat pasta!